What is a rebreather? Rebreathers are essentially a gas recycling machine. A rebreather gathers a diver's exhaled air; removes the CO2; adds oxygen; and allows you to breath it again! This means the air stays within the system, rather than being exhaled out as in a scuba system. By "re-breathing" your gas, you are now in a silent, bubble-free environment where you can stay on your dive for a much longer period of time and wildlife will get closer to you than ever before. You will be highly efficient, with reduced gas consumption and your dives will be more enjoyable. 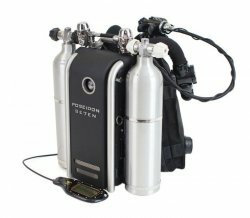 Denver Divers invites you to discover the new POSEIDON SE7EN recreational rebreather. 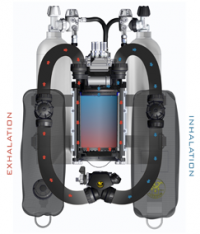 Designed, built and tested to perform in all conditions, the POSEIDON SE7EN is the next generation of rebreather. Safety, performance, ease of use and desirability are combined to enable divers of all abilities to experience the underwater world without compromise. Whether you want to get closer to marine life, spend much more time underwater, dive deeper or simply enjoy the bubble-free silence, the POSEIDON SE7EN is the smartest, fastest, safest way to dive. We selected the POSEIDON SE7EN because it is broadly supported throughout the world including a number of liveaboard companies, it is easy to transport, it has been extensively tested and is in its second generation of development, and because it is supported by our primary certification agencies - SSI and TDI. Throughout the program you will advance your knowledge and understanding of principles, procedures and theories specific to diving safely with a rebreather. You will be introduced to new equipment concepts and become one with you new found dive buddy “Your rebreather”. You will also learn and master new skills designed to enhance your safety and enjoyment using this new equipment. During your program your instructor will cover everything from supreme buoyancy, propulsion and equipment management. 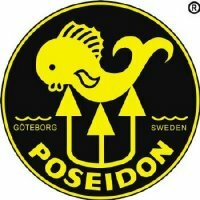 How do I become a Poseidon Se7en Rebreather Diver? 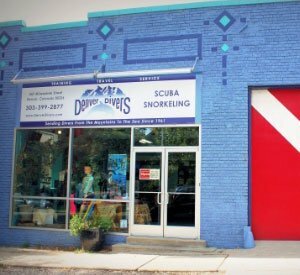 Call us (303-399-2877) and one of our rebreather instructors will gladly explain and provide you with detailed information.